Jai Cheswick is a landscape architect and horticulturalist in Melbourne, Australia. Jai Cheswick Gardens, Melbourne Australia uses PowerCADD to design gardens, low and high profile. His concept designs are well regarded as being able to sell projects. 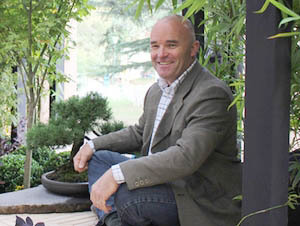 Jai Cheswick is a European trained landscape architect and horticulturalist with a particular interest in Asian inspired designs featuring intricate patterning, multi-layered use of colour, and symbolic form representations.